Ernest Rodker is a conscientious objector and veteran of many direct action campaigns including Free Vanunu, Stop the 70 Tour, Anti-Poll Tax campaign and local campaigns. Ernest will share details of these campaigns and how direct action has shaped his life. He recently donated the Archive of the Free Vanunu Campaign to Special Collections, where it will form a fantastic resource for activists and researchers interested in nonviolent campaigning. The lecture is brought to you by Commonweal Collection, an independent public library for social change. I’ll be introducing our wonderful Special Collections to the Friends of Senate House Library this Wednesday, 15 January 2014. My talk, From Hidden Gems to Greatest Treasures, is at 6pm. All are welcome! Here’s the poster: BradfordJan2014 (2). And here’s the website for the Friends, featuring several other talks for fans of archives and rare books. Q. Which well-known British author liked J.B. Priestley’s The Image Men so much he read it ten times? 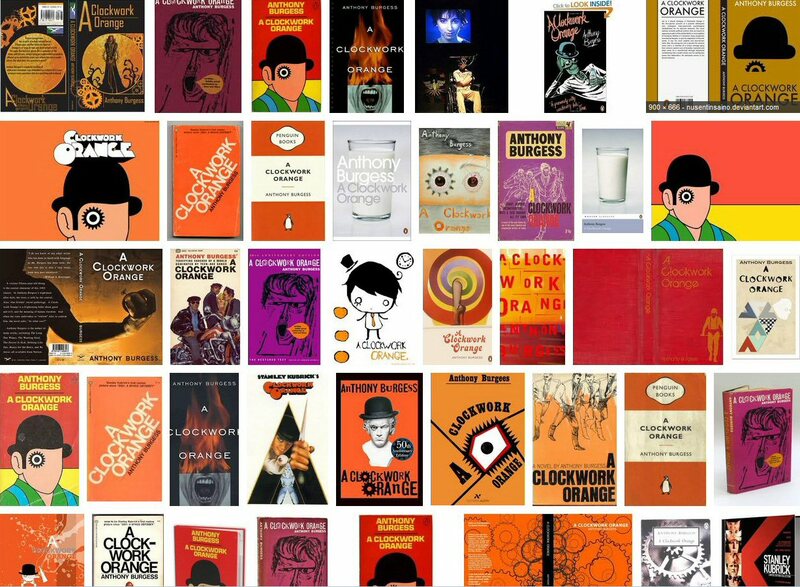 A. Anthony Burgess. Burgess and Priestley have much in common. Both remain famous on the basis of one iconic work above all: Burgess for the dystopian novella which became a controversial film, A Clockwork Orange (above), Priestley for An Inspector Calls (below). Both were much more interesting and prolific writers than commonly thought. Both wrote novels, plays, non-fiction, and masses of journalism. Burgess also created symphonies and other musical works. Although as far as I know JBP didn’t actually write music, it was so important to him that I think this counts as another connection. “My generation had been warned off him by the intellectuals, who derided or patronised him … The fact is that Priestley was an intellectual himself, a man of wide erudition … He knew what the avant-garde novel was all about, but he preferred to work in the tradition of Smollett and Fielding … Of course, he was always more subtle than he usually wished to appear. If he scorned experiment in his novels, he produced in the 1930s a series of plays which brought something wholly original to the theatre … He was perhaps the last of the literary men willing to spill out of the confines of his study and dare to be a public figure revered for what he stood for, and not just for what he wrote”. The connections between Burgess and Priestley are explored in depth by Dr Andrew Biswell of the Burgess Foundation in the 2013 J.B. Priestley Society Annual Lecture, English Anxieties, on 16 March. Taking place at the Foundation, in Manchester, the event is free and all are welcome! Society members are also invited to the AGM that morning. Full details on the Society website. 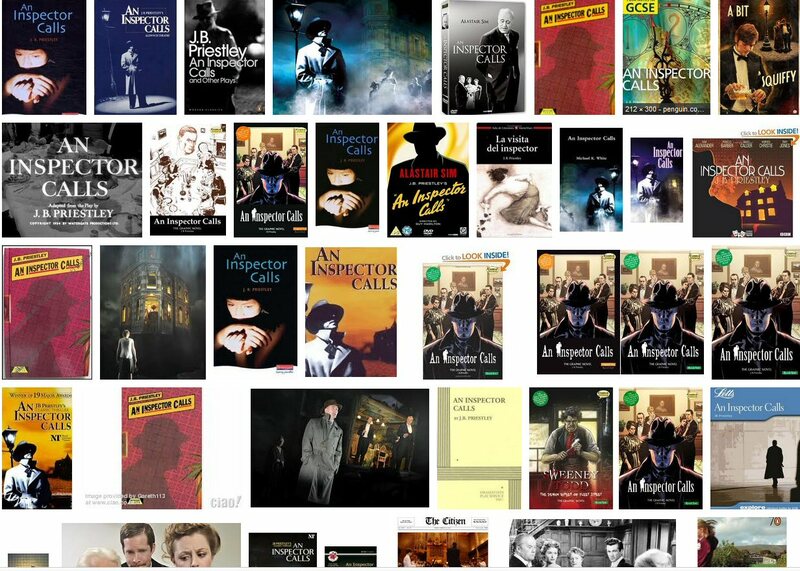 Several of J.B. Priestley’s plays, notably An Inspector Calls and the other Time Plays, continue to enthrall and educate modern audiences. But Priestley’s role in the theatre went far beyond writing for the stage. Professor Maggie Gale will be exploring Priestley’s place in the theory and practice of mid-twentieth century drama in the J.B. Priestley Society Annual Lecture for 2012. This will take place on Saturday 10 March 2012 at 2pm in the JSB Lecture Theatre, Richmond Building, University of Bradford. The event is open to the public. For more information and to book, see the Society’s website. Society members have their AGM in the same venue that morning. [I removed the links from this piece as they were broken, the event having taken place in March 2011. However, as it is a blog post, I think it is right to leave the post as it is otherwise. AC October 2011]. This year’s J.B. Priestley Society Lecture explores one of the most intriguing aspects of Priestley’s writing: his link with C.G. Jung. The speaker, Lee Hanson, is Chair of the Society. Priestley wrote and broadcasted about Jung’s work, and visited him at his home in Switzerland in 1946. Jung himself thought highly of Priestley, with special praise for his novel Bright Day. The lecture will examine the friendship between the two, and how Jung’s ideas influenced Priestley’s writings, about personality types, the unconscious mind and creativity, the power of dreams, and relationships between men and women. The lecture is held at the Norcroft Centre, University of Bradford, starting at 2.30 pm and followed by Q & A and refreshments. The lecture is open to all, but places must be booked in advance. For further information, details of how to book, directions, parking advice etc, see the event webpage. Priestley and America – a special relationship? The J.B. Priestley Society Annual Lecture at the Norcroft Centre, University of Bradford. Saturday 7 March 2009. Posted in Hawkes, Jacquetta, Priestley, J.B.
What did Mr Miniver read? This forthcoming conference will include plenty on J.B. Priestley. Dr John Baxendale, who recently published “Priestley’s England”, will be a keynote speaker, and Special Collections Librarian Alison Cullingford is also contributing to discussion about Priestley and protest. What Did Mr Miniver Read? The Fears and Aspirations of the “Masculine Middlebrow” Writer, 1880-1950. A two-day conference hosted by the Institute of English Studies, University of London 13-14 March 2009.